Here at ZI, we are giddy with anticipation about Nintendo at E3 2011. Every time we something related to Nintendo’s conference, such as Nintendo’s boxes arriving, we get more and more excited. Here, we have another fresh batch of pictures from E3 2011. 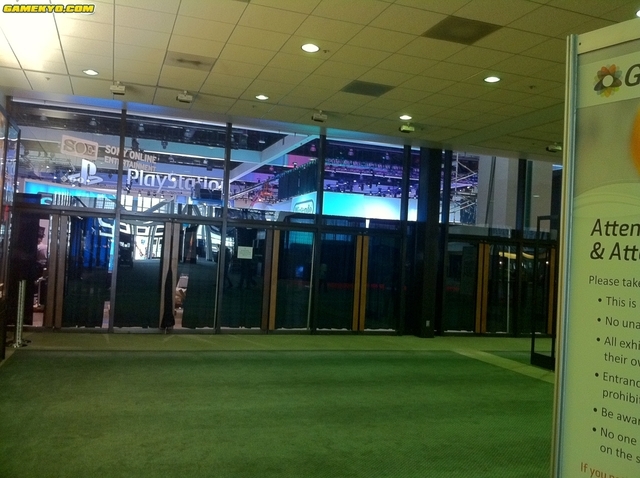 These are taken from outside, and show what appears to be Nintendo’s booth(as well as Sony’s). Hit the jump for the pics if you’re overly excited for E3 like us. As promised, here are the images of Nintendo’s booth. In the first image, both Sony and Nintendo’s booths are visible. In the second, Nintendo’s booth is featured full screen. Thanks to Gamekyo for these pictures.